Today is another bonus post as I am sharing three (three!) recipes of sweet treats. Unfortunately I was not so great with the photography of said sweet treats while making them… You will see that I got some beginning images of two of the cookies and nothing at all of the buckeyes. So even though you will not have much of a visual feast with this here post I guarantee you that the recipes herein are winners. Guarantee! One of my favorite traditions of the season is exchanging plates of various Christmas cookies and candies with neighbors, friends, coworkers, etc. The variety of cookies is key because there’s bound to be something you’ll like on the plate and conversely something that the recipients of your plates will like. For example, those little peanut butter cookies with the Hershey’s Kiss in the middle that seem to be so popular this time of year– I love those things! So this year I made jam thumbprint cookies for people who don’t like super sweet things, caramelita bars for people who like rich treats, and buckeyes for everybody. Because who doesn’t like buckeyes? They’re crowd-pleasers. Peanut butter and chocolate is the finest food pairing that ever existed, for shizz. 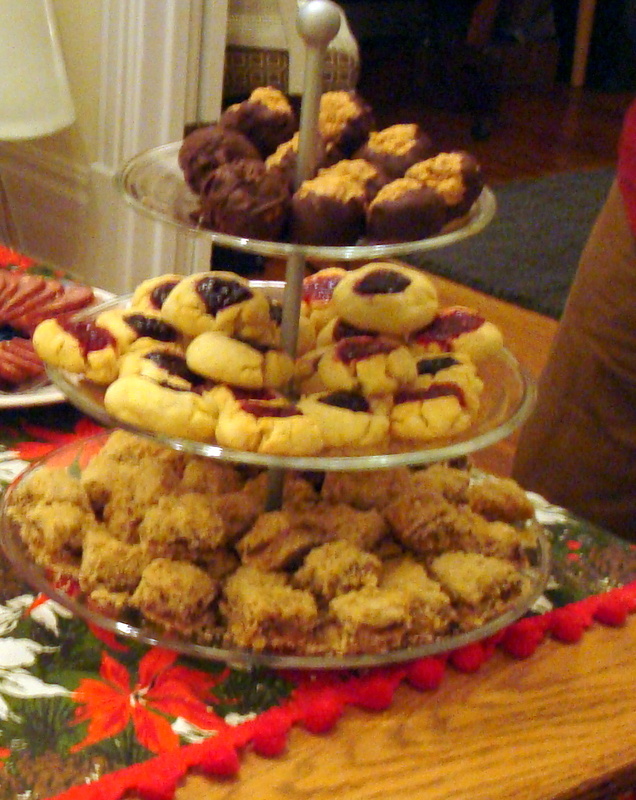 The buckeyes went first, then the caramelita bars, and finally the jam thumbprints. Add one or all to your Christmas cookie plates this year! Whisk together flour and salt in a large bowl. Beat butter and granulated sugar with a mixer on medium-high speed until pale and fluffy. Beat in egg and vanilla. Reduce speed to low. Add flour mixture, and beat until combined. Roll dough into 1-inch balls. 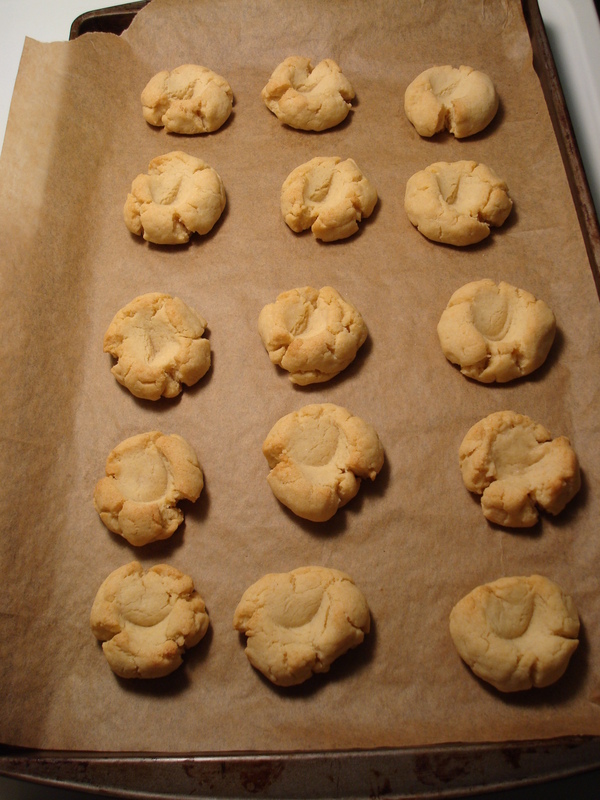 Arrange on parchment-lined baking sheets, spacing each 1 inch apart. Press well into the center of each ball using your finger. Refrigerate until firm, about 30 minutes. Bake at 350 for 7 minutes. Remove from oven, and press well again with handle end of a wooden spoon. Bake until firm, 7 to 9 minutes more. Let cool completely. Spoon filling into thumbprints. Mix butter and peanut butter in a large bowl. 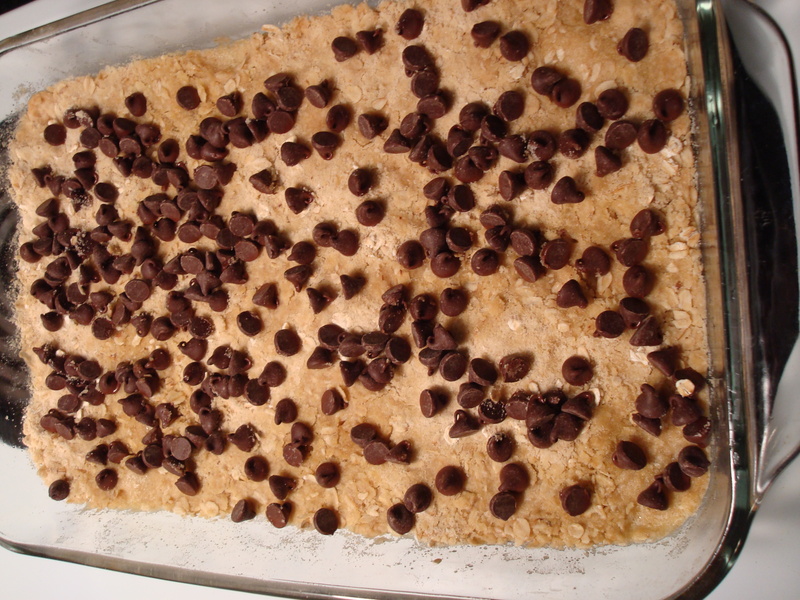 Add crispy rice cereal and blend, then add confectioners sugar and blend. 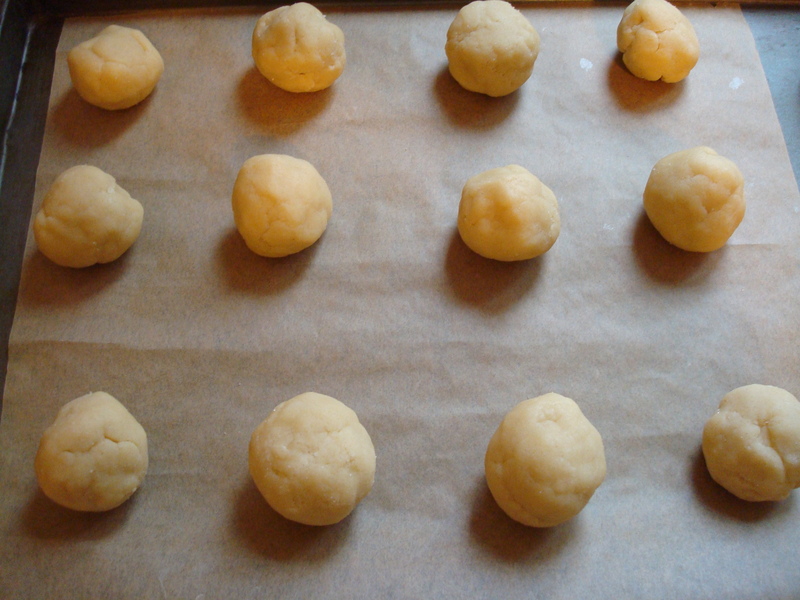 Form dough into balls and place on foil-lined baking sheet. Place sheets in freezer to harden for about 30 minutes. Melt chocolate in a double boiler or in heat-proof bowl placed over saucepan with boiling water, stirring until smooth. Dip peanut butter balls in melted chocolate with fork until only an “eye” of peanut butter is visible (i.e. ¾ of the ball should be completely covered in chocolate.) Set on foil-lined baking sheet to cool and set. Heat oven to 350 degrees. Grease 13”x 9” pan with butter. In large bowl combine all crust ingredients. (I recommend using a pastry knife or a fork to do so. I used my stand mixer and it pulverized the oatmeal to flour consistency.) 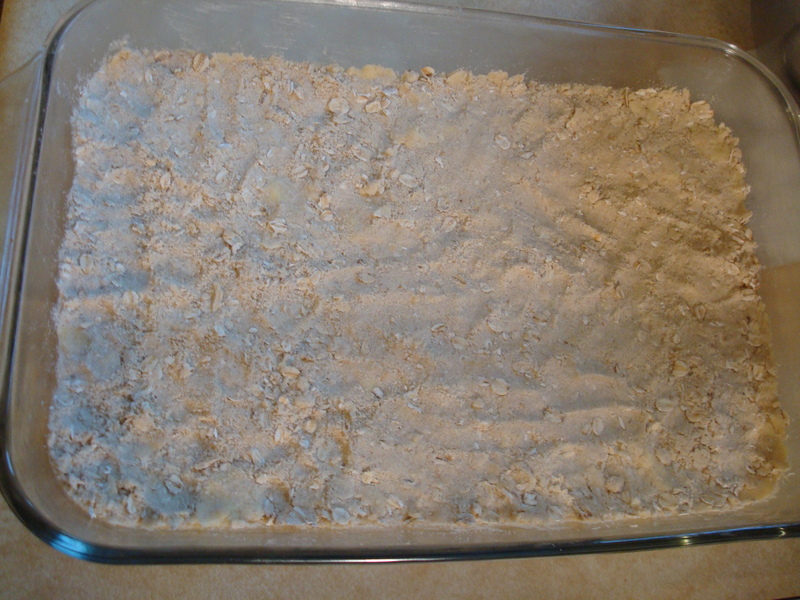 Press half of crumb mixture, about 3 cups, into prepared pan. Reserve remaining crumb mixture for topping. Bake for 10 minutes. Great idea on the crunchy buckeyes. I think I’ll have to try that version!